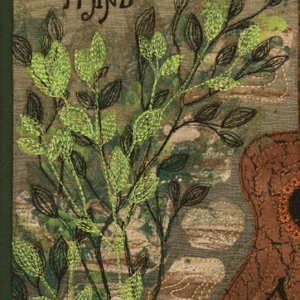 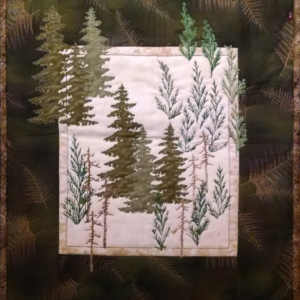 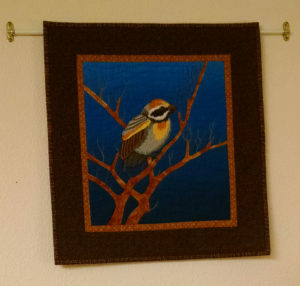 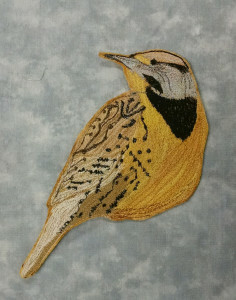 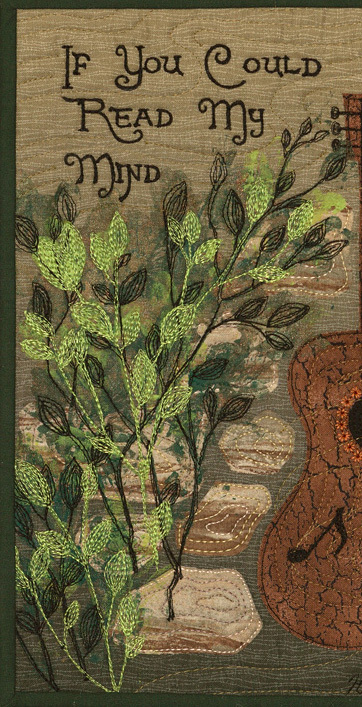 On Wednesday March 13, 2019 I am offering an evening class on using natural objects to print fabric and/or paper. 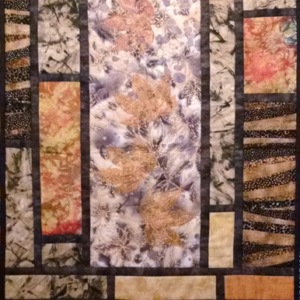 Nature offers a variety of source materials – plant materials such as leaves and branches (bare or leafy) and some vegetables yield wonderful designs. 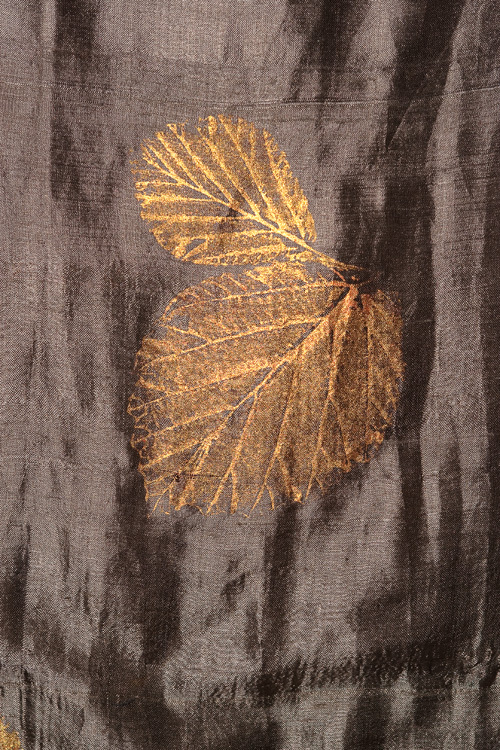 My favorite nature prints come from leaves. 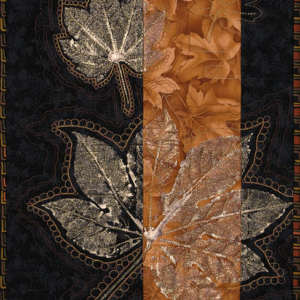 There is such a wide range of shapes, sizes and sometimes intricate details; leaves offer an incredible range of design potential. 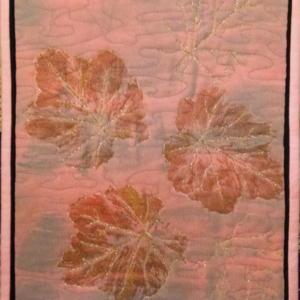 You can focus on the leaf forms themselves or play with simpler shaped leaves in a variety of arrangements. 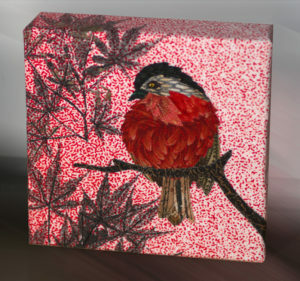 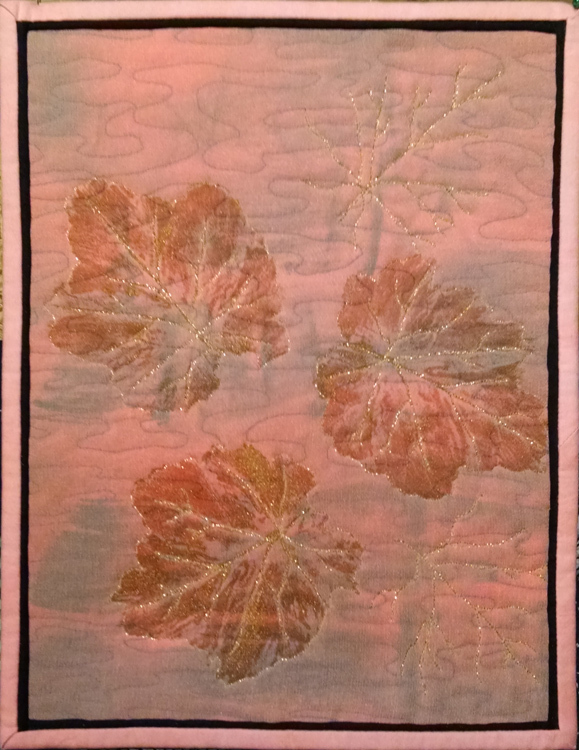 I first experimented with stamping leaves in my younger years, printing them onto exotic Japanese rice papers. 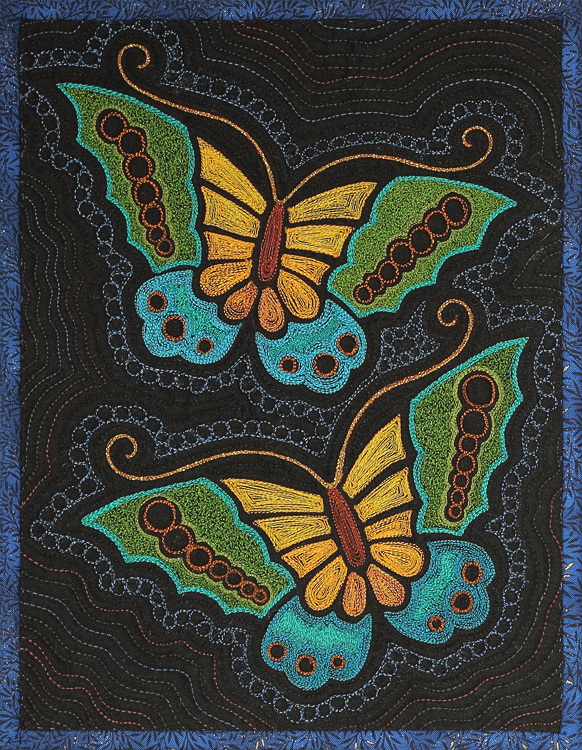 I would stamp and press merrily away using the successes to make handmade cards while the ‘rejects’ were chalked up to the luck of the draw. 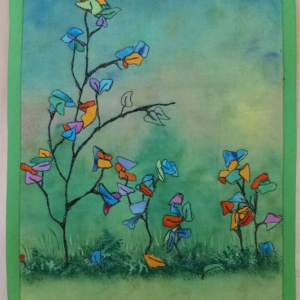 Speaking of which, nature printing is serendipitous, you don’t know how well your impression came out until you lift away the leaf and see the results so it pays to do some test prints to check the viscosity of the paint and how to apply it correctly and keep an open mind enjoying the process. Some prints will be drop dead perfect while others… Even the failures might have a bright future, This collage bird was made onto a backdrop of one such ‘failure’ but look how perfect it was as a backdrop. 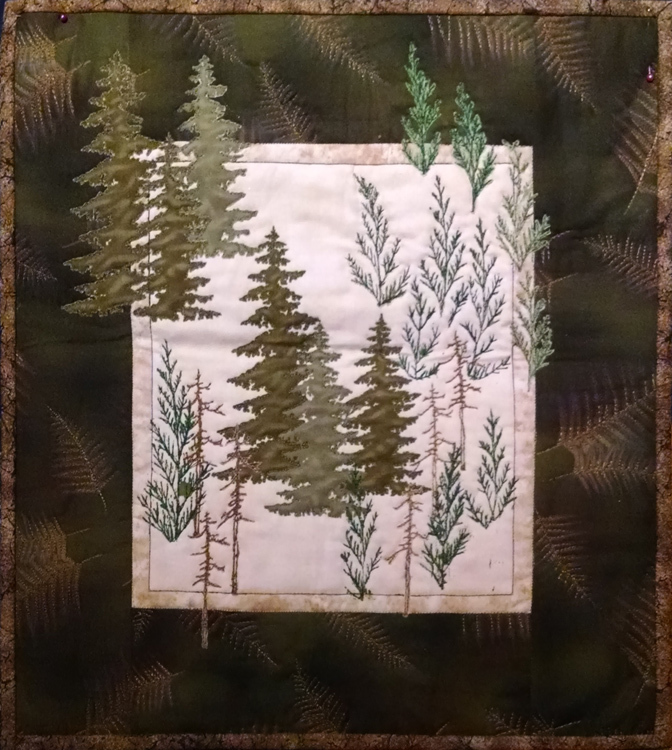 It can be fun to play with different textures of fabric, trying everything from flat goods to fabrics with a nap or nubby silks and linens… Once done the prints can be cut up for collage (paper or fabric) or you can print your own yardage. 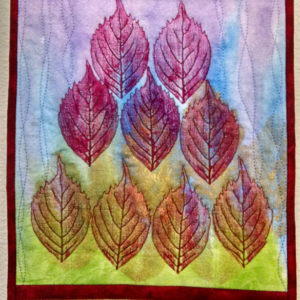 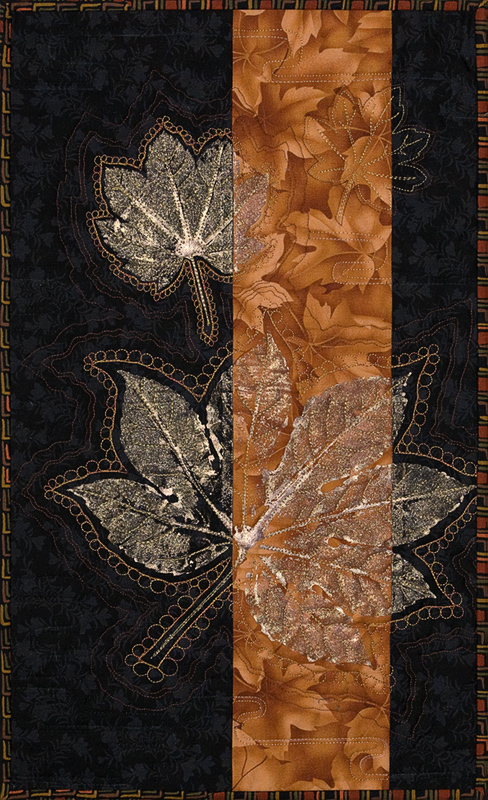 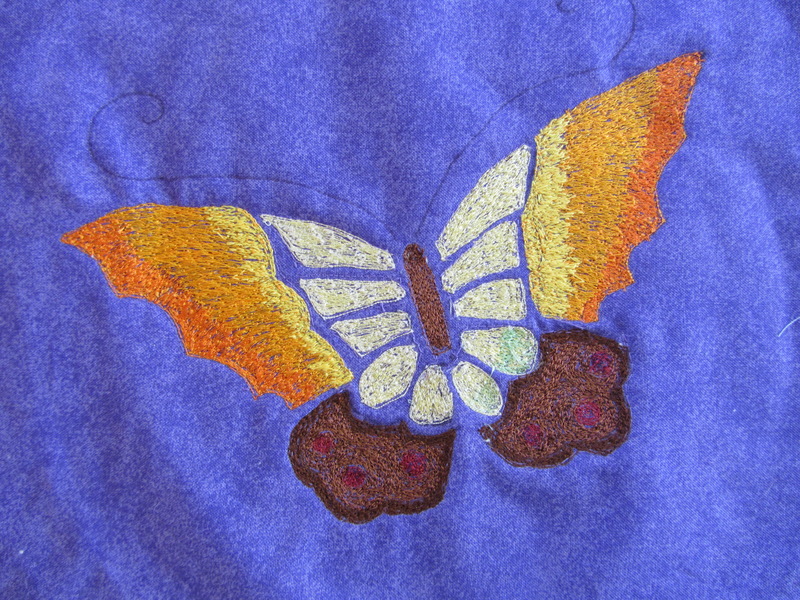 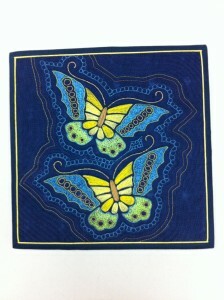 If you are adventurous, you can even press leaf prints onto garments or pieced quilt blocks. 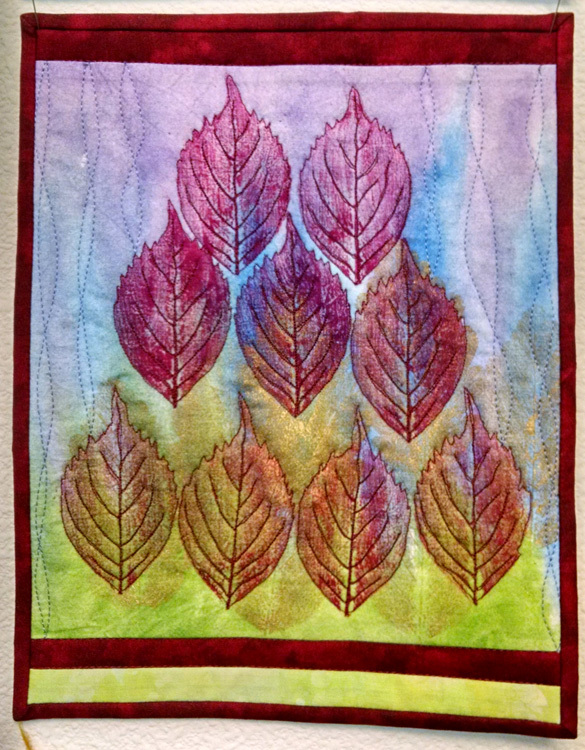 If you love applique, you can print leaves to cut out and applique onto your projects for an unusual take on the ‘fussy-cut’ applique method. 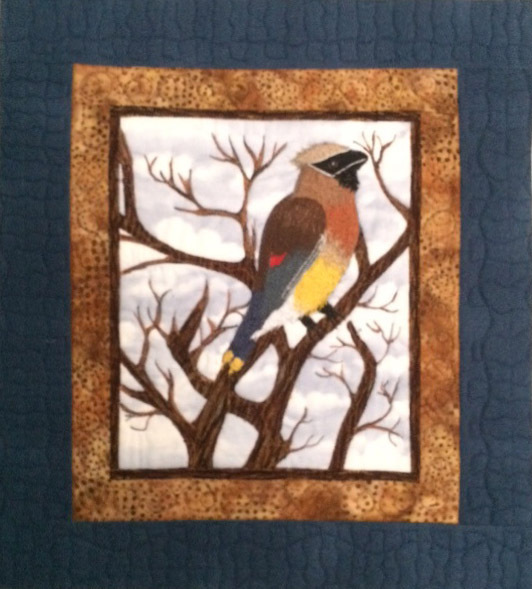 Whether you are a paper artist or fabric artist this will be a very fun class and you will leave at the end with some new ideas as well as some nature prints to play with. 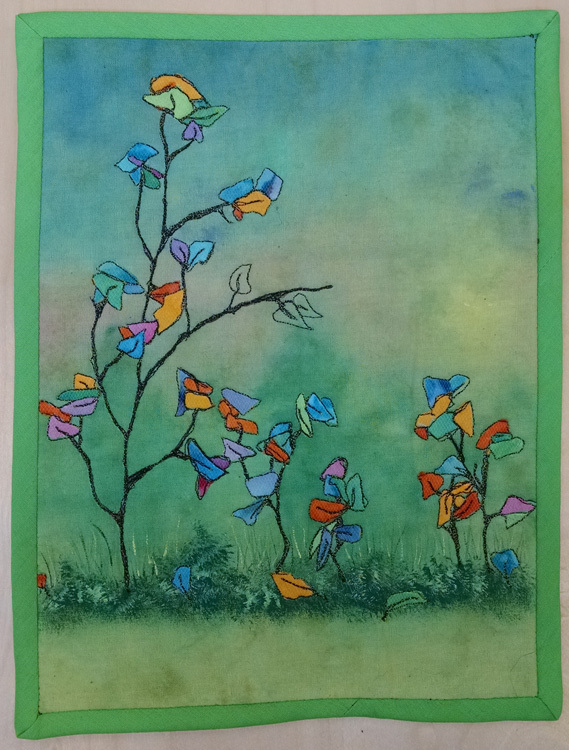 Branch prints enhanced with stitching and confetti leaves on a hand painted background. 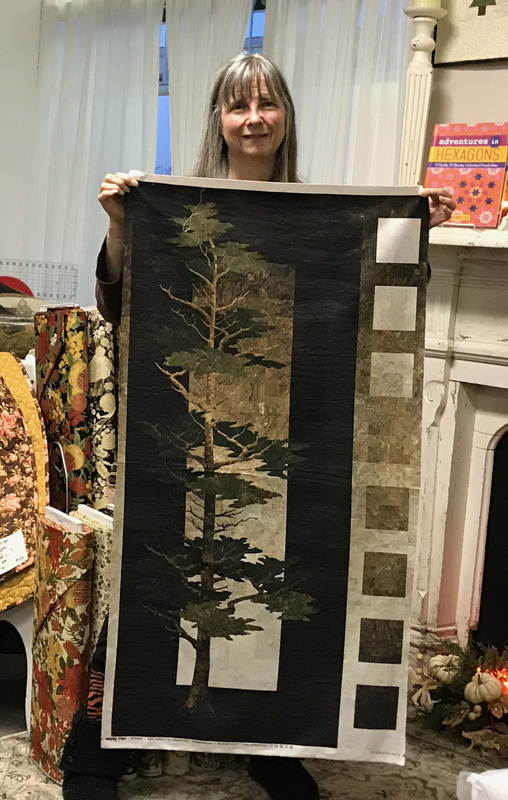 Made by Gerry W.
Forest-scape: collaged trees cut from fabric combined with printed Cedar sprays. Made by Joy J. 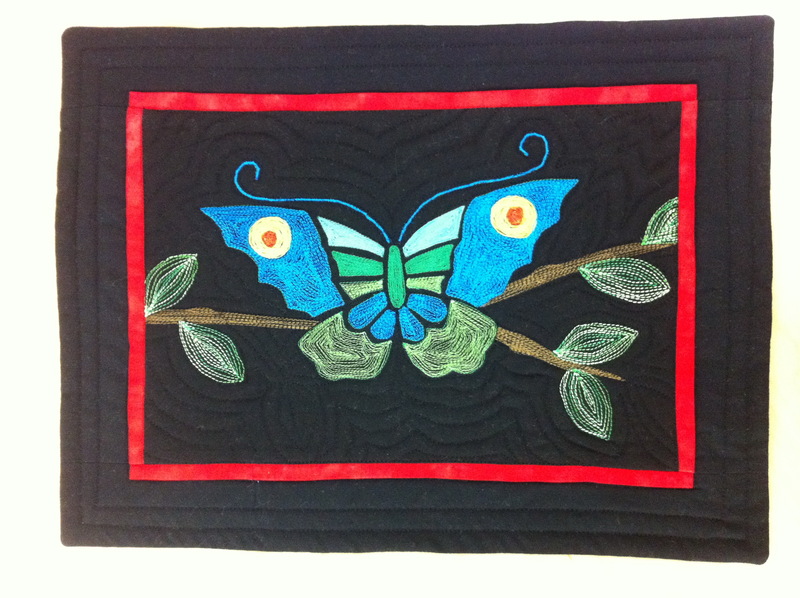 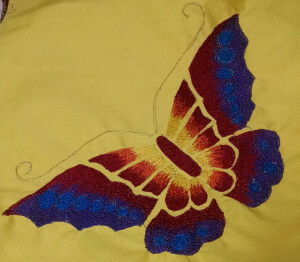 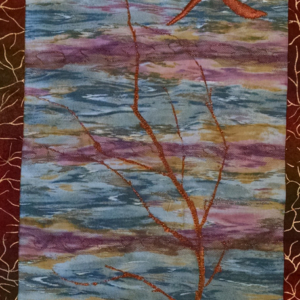 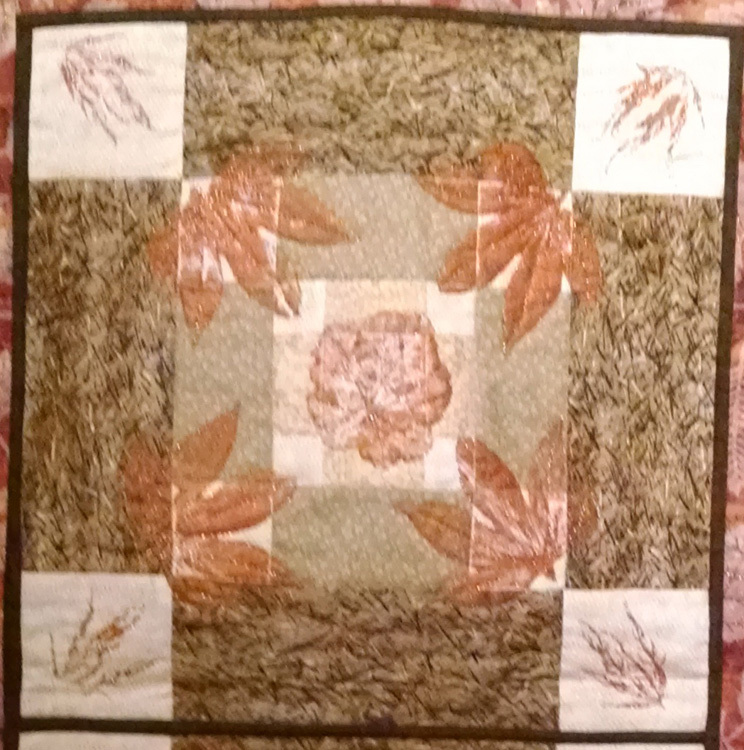 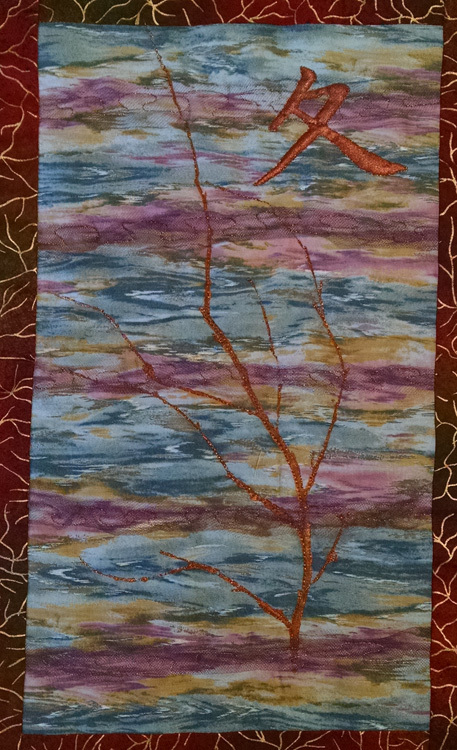 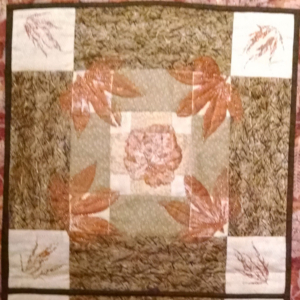 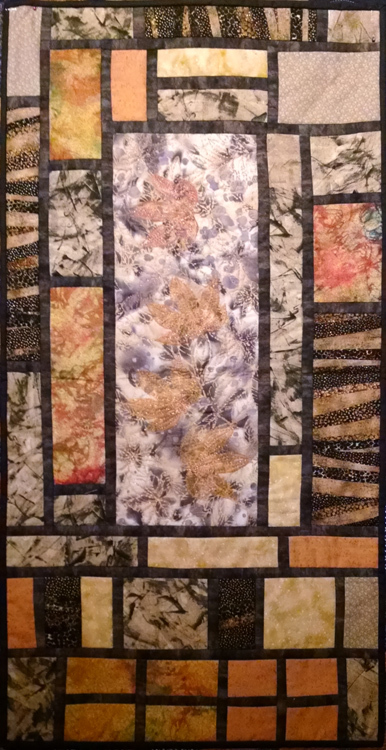 Pieced quilt block enhanced with leaf prints. 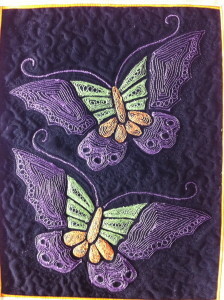 By Joy J. 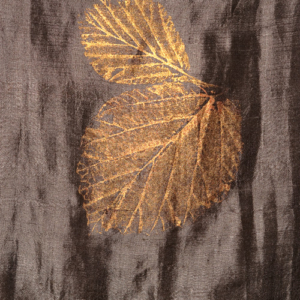 Leaves printed on a Dupioni Silk scarf; by Helene Knott.